During the First and Second World Wars thousands of men and women followed the promptings of their conscience and refused the call to arms. Reviled, starved, and beaten, theirs was a battle of conscience. They came from all classes and backgrounds. 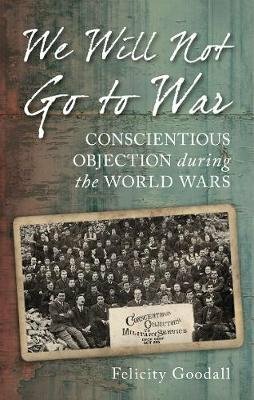 During World War I, 73 conscientious objectors died as a result of their treatment, whlie hundreds were imprisoned. During World War II, many conscientious objectors performed other, non-combatant duties with great heroism, including bomb disposal, joining the fire service, and ambulance crews. As we struggle today with the idea of war and the violence therein, these men and women wrestled with their decisions and their struggles, motivation and stories are brought together in this moving and challenging history of war's outcasts.